Dual QC3.0 ports with lights make this an attractive and powerful car charger. Anker’s ever-expanding line of smartphone accessories and products is impressive. 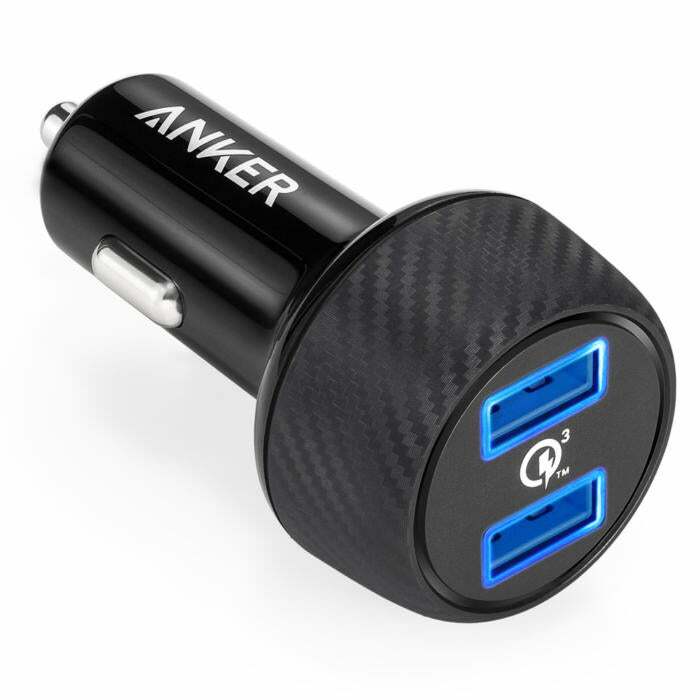 Case in point is the Anker PowerDrive Speed 2 car charger ($25 on Amazon). The charger, which features an attractive carbon fiber pattern, fit snugly enough in our test car's power port that we had no worry about it coming loose on a bumpy ride. The charger features two ports, each one capable of Quick Charge 3.0 speeds—eliminating any guesswork. If you have two QC3.0-compatible devices plugged in, both ports will continue to charge at full speed. The blue ports are illuminated, making them easy to locate it in a dark vehicle or an obscured nook. In our tests, the Anker PowerDrive Speed 2 charged an iPhone X at 5V/1.4A. Testing with a Galaxy S8 immediately triggered Fast Charging, with the car charger using 9V/1.5A. In other words, it performed in line with Anker's claims. The PowerDrive Speed 2 comes without cables or a carrying case. Anker offers its standard 18-month warranty. Bottom line: If you're willing to pay a premium, the Anker PowerDrive Speed 2 car charger is a powerful and well-designed charger.